Kick-start your weight loss with our easy-to-follow 2 Week Holiday Plan! 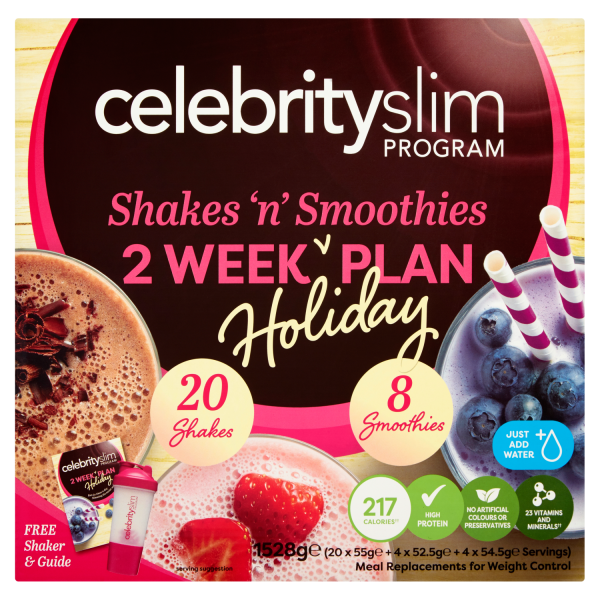 This pack includes 20 x meal replacement shakes in five delicious flavours, 8 x meal replacement smoothies, 1 free shaker, plus a free 2-week guide. The handy 2-week guide gives you daily recipes, tasty snack ideas and helpful weight loss tips. 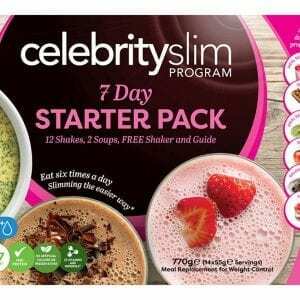 1 x FREE 2 Week Guide – filled with daily recipes, tasty snack ideas and helpful weight loss tips.